Reuters' poll of nearly 40 economists predicted retail inflation eased to 3.86% from July's 4.17%, below RBI's 4% target for the first time this year. Inflation data is due to be published on September 12 at 5:30 pm IST. BENGALURU: Inflation likely eased below the Reserve Bank of India's medium-term target in August on softer food prices, a Reuters poll showed, raising the probability the central bank will keep interest rates on hold at its next rate review. The poll of nearly 40 economists conducted from September 4-7 predicted retail inflation eased to 3.86 per cent from July's 4.17 per cent, below the RBI's 4 per cent target for the first time this year. While nearly three quarters of contributors expected inflation fell below target, two economists expected it to be at 4 per cent and the remaining nine said it would be above target. The highest call was 5.4 per cent. Inflation data is due to be published on September 12 at 1200 GMT or 5:30 pm IST. 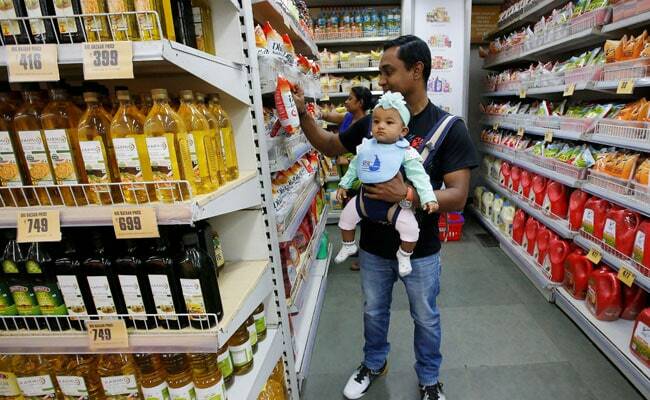 "Headline consumer price inflation is likely to have eased in August due to another fall in food inflation," noted Shilan Shah, a senior Indian economist at Capital Economics. "But core price pressures are set to remain elevated. The upshot is that the RBI's tightening cycle still has a little bit further to run." If those forecasts come true, it would give the RBI a breather after it raised rates in its previous two meetings, taking borrowing costs to a four-year high of 6.50 per cent to tame speeding inflation. While oil prices have risen nearly 15 per cent this year, the rupee touched an all-time low of 72 per dollar on Thursday and was expected to hover near there on a worsening trade balance. "For the RBI, the policy path is likely to get challenging as inflation is slowing at a time when market volatility is high, and the rupee is at a record low versus the US dollar," wrote Radhika Rao, an economist with DBS Bank. "If the rupee remains under pressure, the central bank might be forced to hike rates citing risks to inflationary expectations." The GDP growth rate reached 8.2 per cent last quarter and the diverging paths of growth and inflation could concern RBI policymakers. The poll forecast industrial output would expand 6.6 per cent in July compared with June's 7.0 per cent. WPI inflation probably inched down to 4.7 per cent in August from 5.1 per cent, the poll said.